From a historical perspective, the digital age is hitting its ‘adult years’ right about now. Many of us watched the birth of the internet, connecting to IP addresses from massive terminals. We experienced the adolescent years through email, with thanks to AOL for cementing the immortal you’ve got mail soundbite into our hearts. We’ve just witnessed the growing pains of early 20s from app development to cloud-based computing. Considering the internet was invented in 1983, the digital age is officially 35 now. And yet, physical products are booming now more than ever! The new millennium was welcomed in with serious challenges for the music industry. Napster was at it’s height in popularity (1999-2001) giving music executives and recording artists cause for extreme panic. With good reason, considering music sales dropped by over 50% and continued to decline for an entire decade. 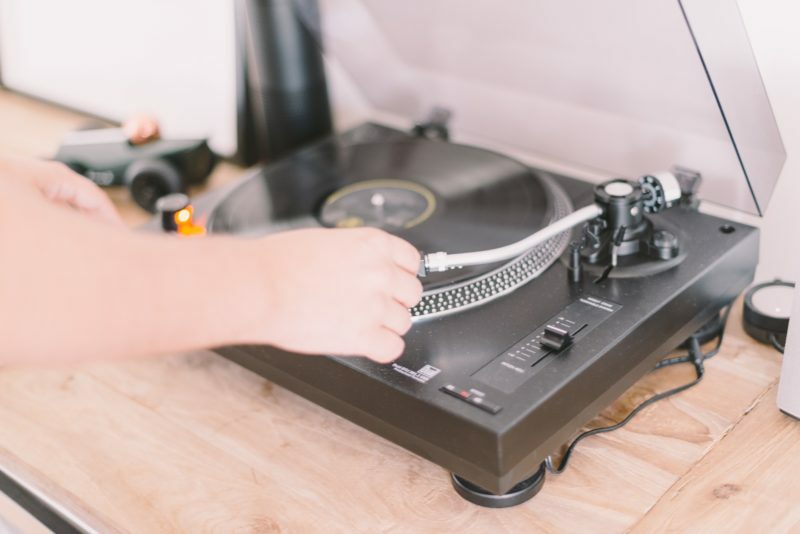 2010 was the first year to see a reemergence of the music industry as a formidable sales machine, but surprisingly it came primarily from vinyl record sales. Since then, we’ve continued to see reports of tremendous growth in vinyl record sales. LP sales reached a 25-year high in 2016. BNI statistics indicated that year showed a nine-year streak of consecutive vinyl record sales growth, while Nielsen Music statistics indicated it was more of a twelve-year growth streak. In fact, vinyl sales have bypassed digital downloads and are second only to streaming services in the music industry. Physical media is a $1.5 billion industry. The music industry is not alone. Physical products are making waves in other digital industries as well. Polaroid cameras and other instant print cameras saw a reemergence in late 2015, followed by a 166% growth in a 12-month period. Around the same time period, print books were making a comeback. While ebooks continue to decline, it seems that readers have gone back to print versions as though the Amazon-Digital revolution in books never happened. While growth has been increasing slowly, the consistency of the upward trend over the last five years indicates that physical books aren’t going anywhere. Like the expectation that digital books would overtake and eliminate print books altogether, most of us anticipated with digital calendars and cloud-based writing software, that stationary items like notebooks and planners would disappear entirely. Yet, the exact opposite has occurred. Part gift market and part handmade niche, physical stationary products from journals to planners to greeting cards have skyrocketed in popularity. Platforms like Etsy have made it incredibly easy for consumers to get custom-made, unique gifts and the desire for tangible experiences makes stationary a hot commodity. Despite the ability the ability to use our phones as digital cameras, schedulers, e-readers, and music players, we’re still gravitating towards physicality. Why? Overall, we’re moving to an experiential culture. We seek out to satisfy our nostalgia for easy, simpler times when we experience times of challenge or struggle. The growing nostalgia in pop culture surfaced at the height of the latest recession. This wistfulness for the good ol’ times – and the products that represent them – allow us to experience the type of society, culture, or environment we wish we lived in. This is by no means a new concept, but it’s the first time the past has been so immediately accessible, just a Google search away. We’re seeing reboots of 80s movies and 90s TV shows in the same way we’re seeing the reemergence of once-iconic products. The difference now is that retailers can profit. The same experience can be likewise incorporated into retail spaces like stores and restaurants by exploiting nostalgia in decor, products, menus, and more. While digital can provide a seamless, consistent experience, an analog experience provides a tactile and sensory experience. We remember the smell of cracking the spine open on a brand new book. We remember the sound of the scratching needle against a vinyl record. The question for retailers is now: what do you want your consumers to remember about your brand?